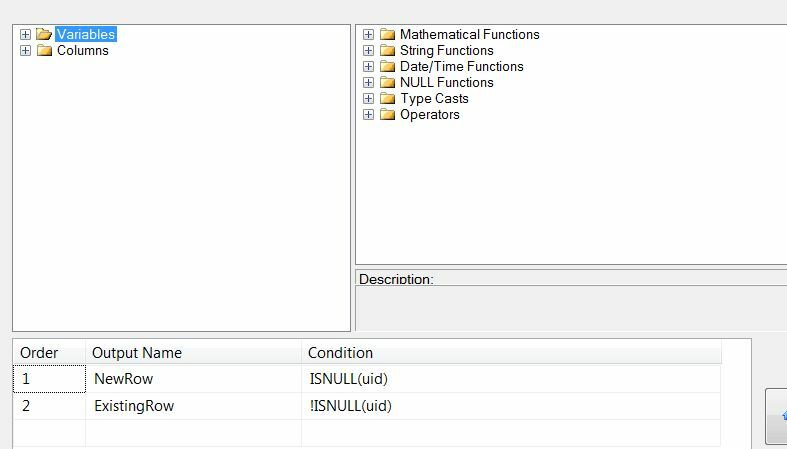 SSIS Loading multiple files containing a column value within the filename. Update or insert an MS SQL table, including writing the date into the table for each row. Ok, in the first instance you will create a new package in BIDS. Create a variable, name filename, as a String available for the package. Ok, so we are happy with this. Nice and easy. 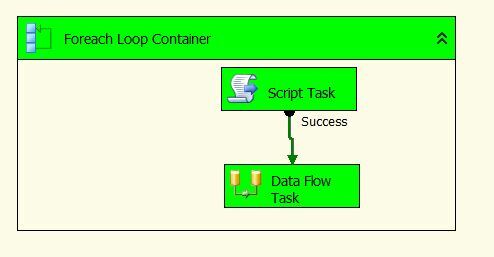 Within the For Each Loop we are going to place two objects, a Script Task and Data Flow Task. Drag each of these into the For Each Loop and link them together. Right then, we are ready to configure the script object. Double click on it, and populate the ReadOnlyVariables with User::filename and ReadWriteVariables with User::transactionDate. 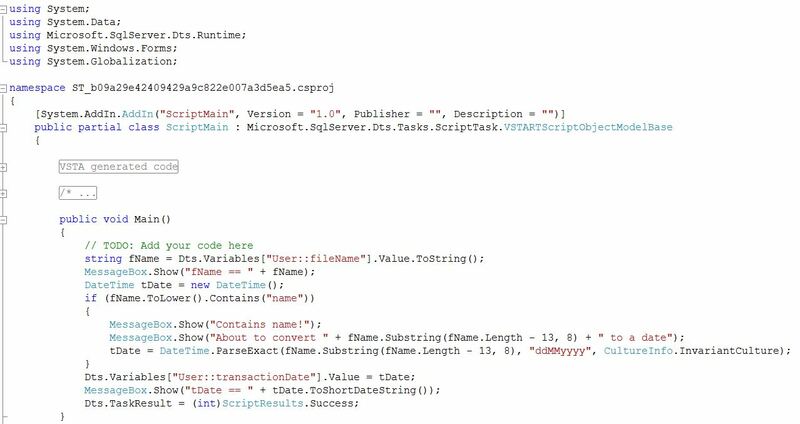 That is the script object done, now the data flow task. Now, the data flow task will consist of a number of tasks, but I will only focus on a few. 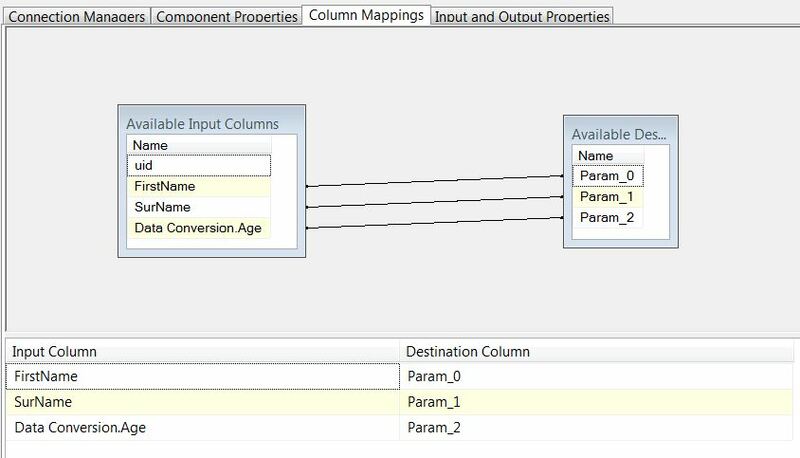 These being the derived column, and Excel Connection. From the Merge Join down that is performing the insert or update which I have previously covered here. So in the first instance you need to create an Excel Connection Manager, and point it to the first file (in this case I have three files). Then drag down an Excel Source and configure it as you normally would. Next up is to perform any data conversions to ensure the data from Excel is in the correct format for my table (all pretty straight forward, e.g. converting text fields to DT_STR and setting the correct length). Now the derived column, if you drag this down and then configure it. Basically you want to make the variable transactionDate available in the flow so it can be written to the table. As you can see this creates a column called variableStamp which get carried through to the insert / update commands and so the values are written to the table. 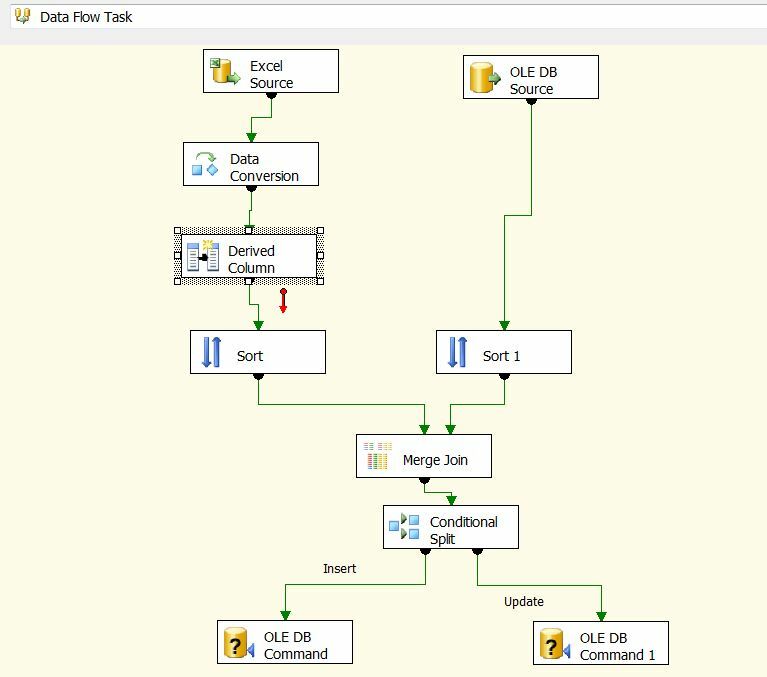 So with the dataflow configured as shown you are ready to run it, go for it! 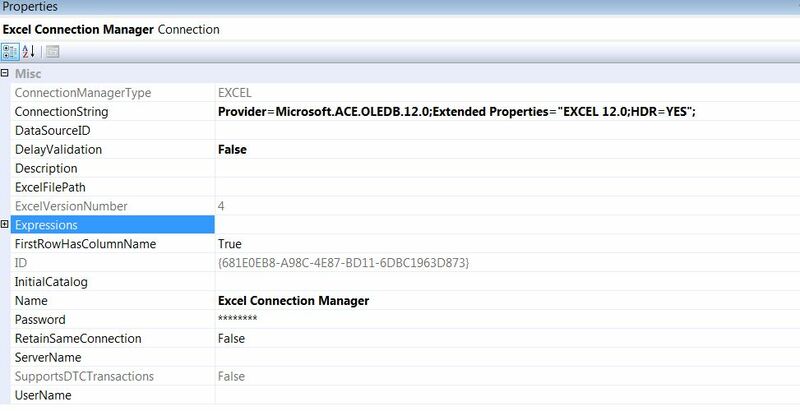 Hang on a minute, how do we process multiple file when the Excel Connection Manager is pointing to one file? Ah ha, this is where it gets exciting!!! 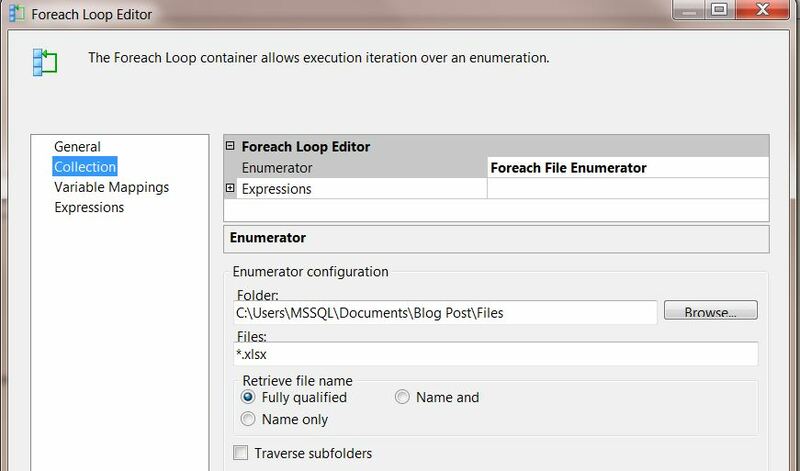 You need to go into the properties of the Connection Manager and insert the variable filename into the connectionString. In the first instance I would recommend making a copy of the current connection string, so you can rollback if things get confusing. Note the additional backslashes (\), these are the escape sequences for the quotation marks required around EXCEL 12.0;HDR=YES. Remember to use Evaluate Expression to ensure all is correct. 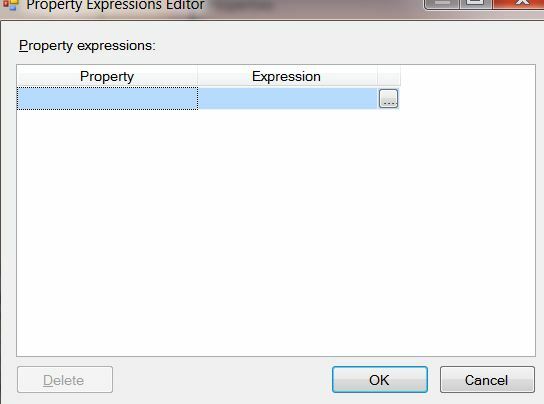 Click Ok, then Ok again on the expressions editor, and you will notice your connection string has changed. That is it, we are done! Go run it…. You should see Green everywhere, and the database will contain the dates for the many file you created! So, the situation is thus; We want to update records that exist in both the table and the Excel file and insert those that exist in the Excel file but not in the table. How do we do this…. Up steps SSIS. I am going to assume you know the basics of SSIS and so will start from the perpective of a new project in BIDS. 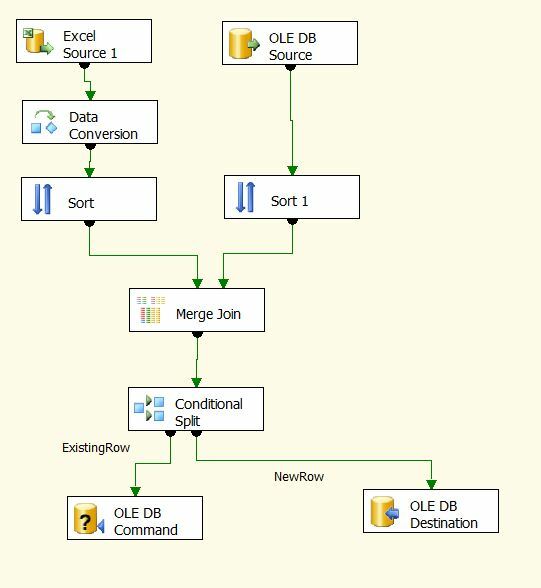 Under Control Flow we need to add a new Control Flow Item – Data Flow. Rename this to Insert and Update records. Now double click on this item, or select the Data Flow tab. 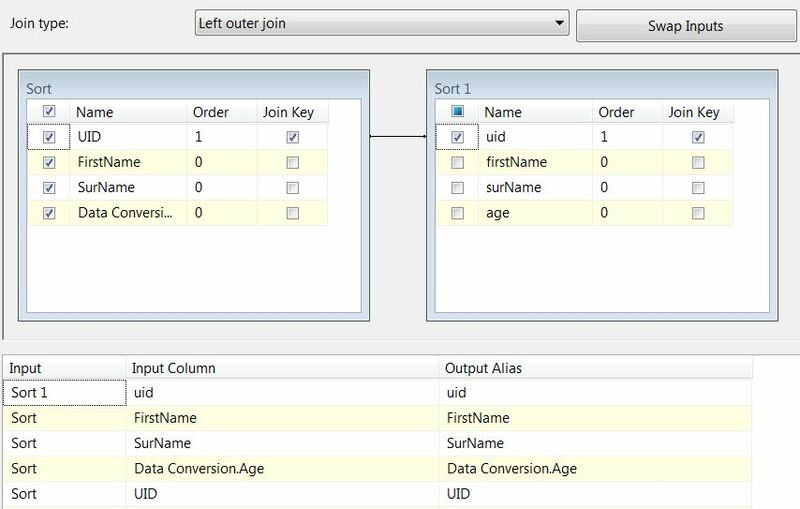 Now things get exciting, we want to create a data flow that queries both the Excel File and the database table, both will need to be sorted on the same column, and then we perform a left outer join. At this stage we can determine which rows of the Excel sheet are new, and which exist already. 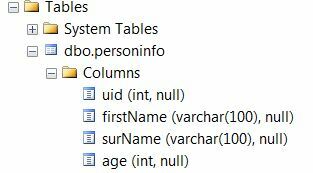 To do this we use a conditional split where we ascertain if the UID is null (from the database table), if it is we know this is a new row and so should be inserted into the table, if it isn’t we know this row exists in the table and so the row should be updated (perhaps one of the column values has changed). 6. Now that is in place, both streams of data need to be sorted by the ID columns (note, make sure you pass through the columns you have just converted and don’t pass through the Excel columns. Ok, so now the exciting bit. We will perform the left outer join and the conditional to determine if each row is either a new row or existing row. 5. Double click on the Merge Join, select the UID column from the database, and the UID, FirstName, Surname, and Age columns from the Excel Source. This will now give us two streams coming out of the conditional split, those belonging to the the NewRow and those belonging to the ExistingRow. The data belonging to the new row will be inserted into the table, and the data belonging to the Existing Row will update said row. b. 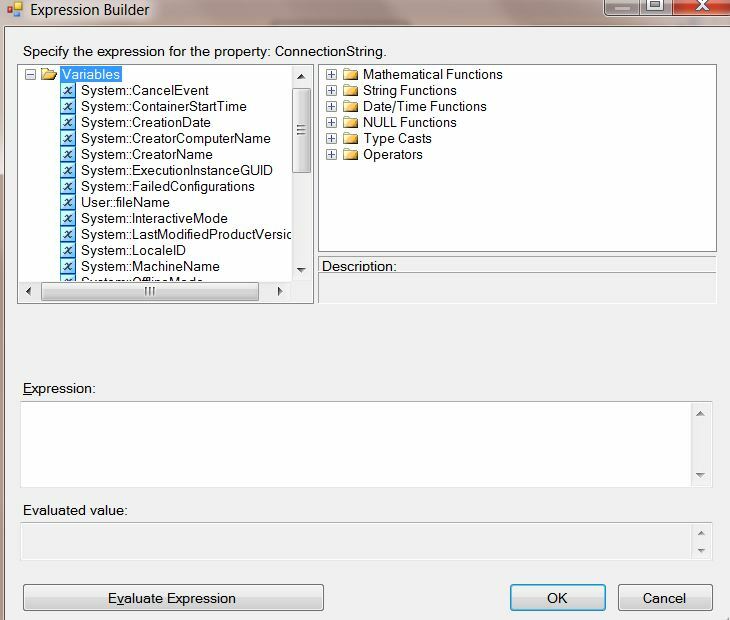 Under Custom Properties select SQLCOMMAND and the button at the end of the input. I hope this proves useful? 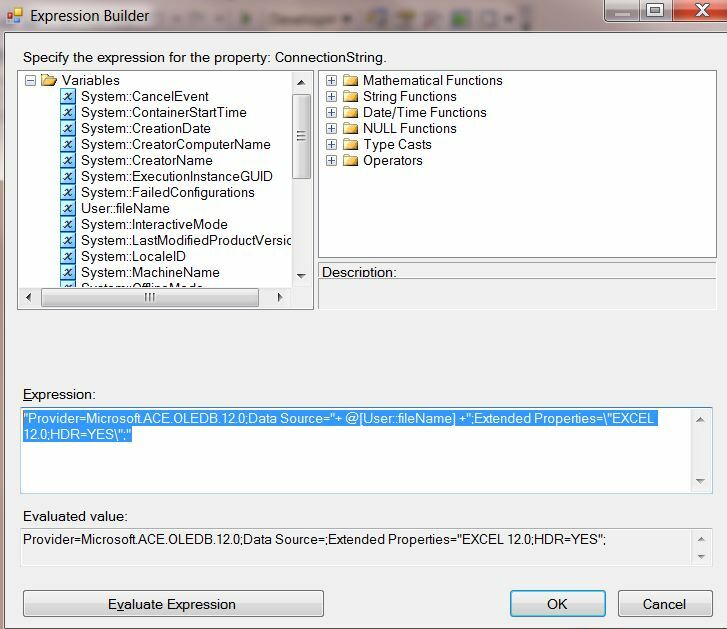 Point of note, I suffered a slight problem on my machine because it is 64Bit, I received the error message “DTS_E_OLEDB_EXCEL_NOT_SUPPORTED” – Have a read of these two articles: here and here.